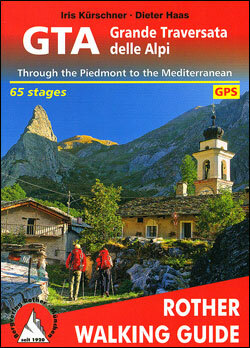 The guide takes as its starting point Alpe di Cruina in Switzerland, crossing over to Italy across the Griespass. 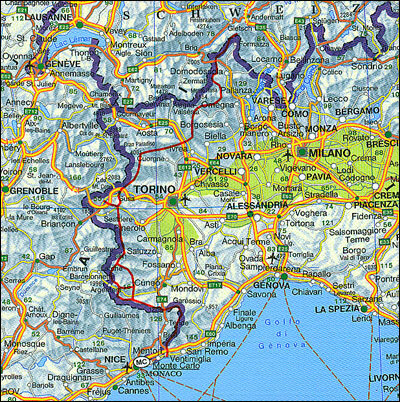 The route continues south-west towards the Gran Paradiso National Park and then more or less hugs the border until the Mediterranean coast at Ventimiglia. 65 individual stages, from one to six hours long, are presented on maps at 1:75,000 with relief shading to indicate the topography. 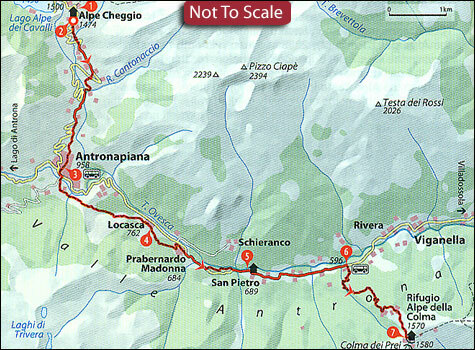 The accompanying descriptions are cross-referenced to various points on the maps; also provided are route profiles, details of accommodation and other local facilities, plus information about access by public transport. An introductory section provides general information about the region, useful tips for tacking the route, an overview table with the length and walking time of all the 65 stages, plus information about downloading GPS waypoints from the publishers’ website.